Disney’s Dumbo is an upcoming live-action, family, adventure, fantasy movie that will be released in movie theaters on March 29, 2019. The movie is loosely based on the 1941 animated movie of the same name. But, exactly why should you take your kids to see this movie? Here are 10 great reasons why. 2) The movie features an all-star cast: There are probably 3 names that you’ll recognize in this movie- Colin Farrell, Michael Keaton and Danny DeVito. 3) Tim Burton has worked with a few of the cast previously: So, why is this important or even relevant? Because a movie director who has worked with actors and actresses in the past, already know how they work, how they act, how they behave. They already have some kind of established relationship. Burton has worked with Danny DeVito and Michael Keaton 3 times in the past. He has also worked with Eva Green twice and Alan Arkin once previously. Danny DeVito – Plays the role of Max Medici in Dumbo. Michael Keaton- Plays the role of V.A. Vandevere in Dumbo. Eva Green- Plays the role of Colette Marchant in Dumbo. Alan Arkin- Plays the role of J. Griffin Remington in Dumbo. 4) The major character in the movie is a human: In the original 1941 movie, the main character is of course, Dumbo. However, this time around, it seems that a human- Holt Farrier- is the movie’s central character. 5) Dumbo isn’t like other Disney reboots: Many Disney fans have said that previous Disney live-action reboots (there are currently 7) don’t really seem to change much, telling the same story. 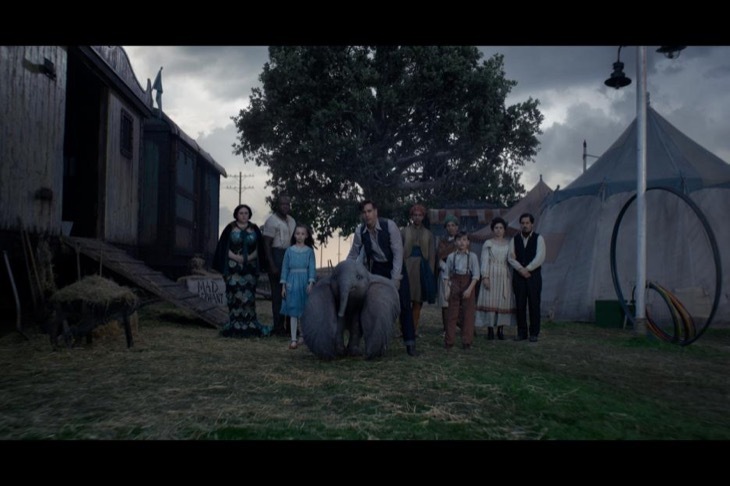 However, this time around, Dumbo is set to be different because it will focus on what happens to Dumbo after the events of the original 1941 movie. Alice in Wonderland – The 2010 movie- Alice in Wonderland- is based on the 1865 book- Alice’s Adventures in Wonderland by Lewis Carroll and the 2016 movie sequel- Alice Through the Looking Glass- is based on the 1871 book- Through the Looking-Glass, also by Lewis Carroll. Bambi– The 1942 movie- Bambi- is based on the 1923 book- Bambi, A Life in the Woods by Felix Salten. Charlotte’s Web- Both the 1973 movie- Charlotte’s Web- and the 2006 movie- Charlotte’s Web- are based on the 1952 book- of the same name- by E.B. White. Harry Potter– All of the Harry Potter movies- 2001, 2002, 2004, 2005, 2007, 2009, 2010 and 2011- are based on the book series- 1997, 1998, 1999, 2000, 2003, 2005 and 2007- by J.K. Rowling. Willy Wonka and the Chocolate Factory– Both the 1971 movie- Willy Wonka and the Chocolate Factory and the 2005 movie- Charlie and the Chocolate Factory- are based on the 1964 book- Charlie and the Chocolate Factory by Roald Dahl. 1937- Elephant Boy- The main star- Kala Nag- is an elephant. 1967- The Jungle Book- Colonel Hathi is an Indian bull elephant. 1999- Tarzan- Tantor, Tarzan’s best friend, is an elephant. 2005- Pooh’s Heffalump Movie- Lumpy the Heffalump, Roo’s best friend, is an elephant. 2008- Horton Hears a Who- Horton is an elephant. 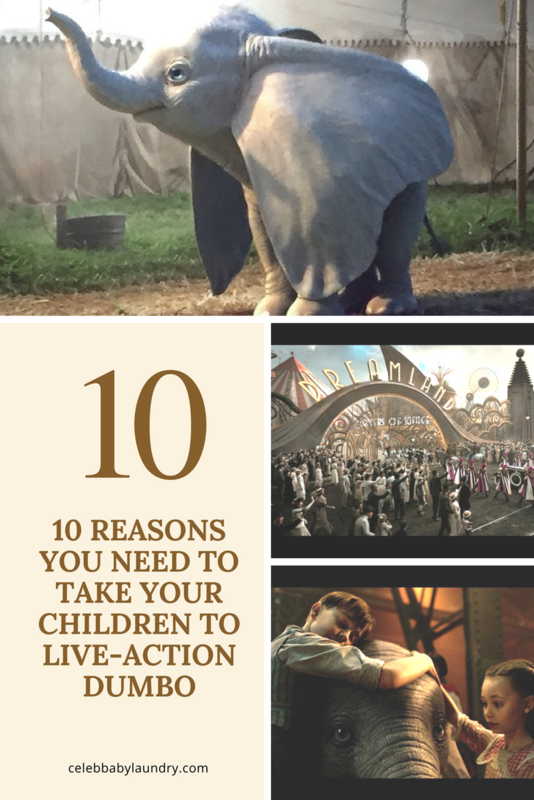 10) Dumbo’s movie trailer produced some awesome quotes: Okay, so far, there has only been a teaser movie trailer that has been released, but it really has produced a few awesome quotes nonetheless. 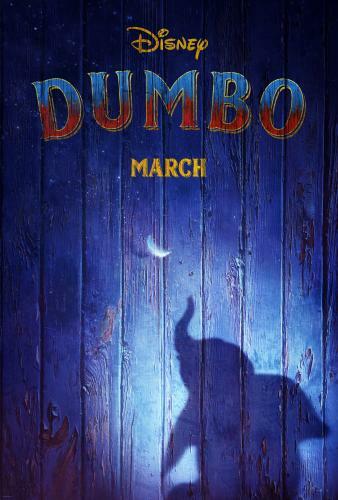 Dumbo releases in theatres on March 29, 2019. Are you excited about this new Disney reboot? Will you be taking your children to see the new Disney Live-Action Dumbo? To stay up-to-date with upcoming news on the film be sure to like Dumbo on Facebook, follow Walt Disney Studios on Twitter and Instagram. Celebrate World Chocolate Day July 7 – Fun Chocolate Facts!